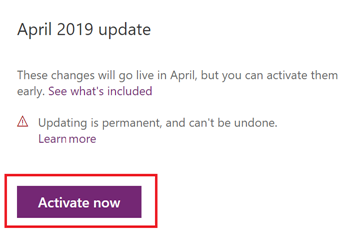 If you are using Dynamics 365 for Customer Engagement apps (Sales, Service, and Marketing), you can enable the preview features from the Power Platform Admin centre. 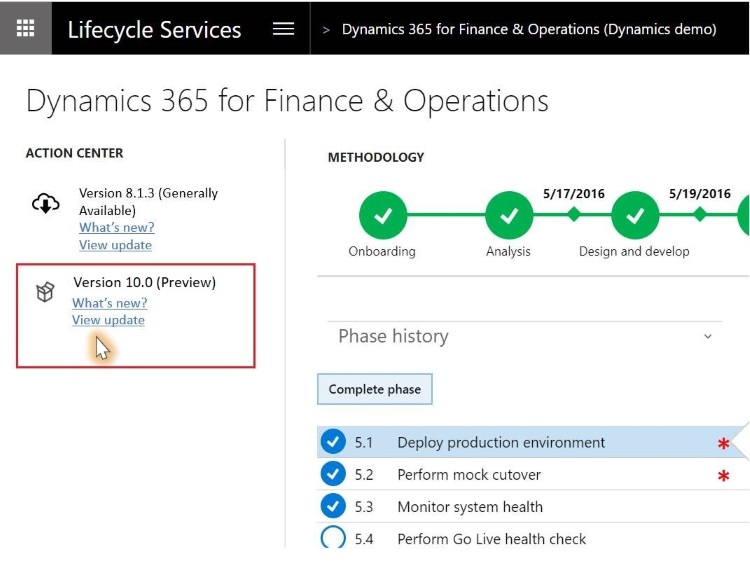 If you are using Dynamics 365 for Finance and Operations or Dynamics 365 for Retail, you can enable the preview features through the First Release programme in Lifecycle Services. 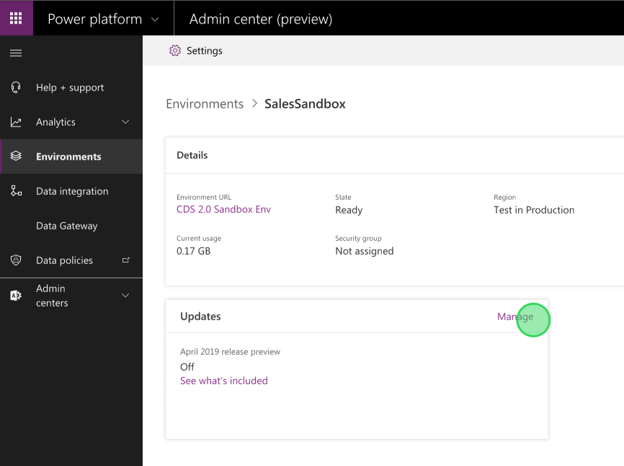 Admins can access the Power Platform Admin centre to see whether the preview is enabled for a specific environment. 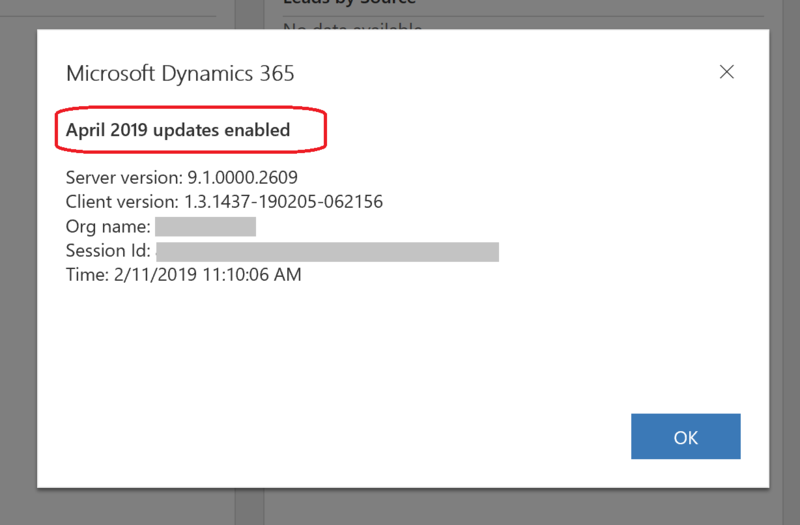 If you are a customer of Dynamics 365 for Finance and Operations or Dynamics 365 for Retail, you can view the availability of the preview (First Release) in the Action centre in Lifecycle Services as shown below. You should follow the current process of reporting bugs through Microsoft Dynamics 365 support. We will prioritise and fix the blocking bugs before we deploy the update in production. We begin our process with a series of automated and manual tests across a wide variety of scenarios. This progresses to the group of customers in multiple regions participating in our First Release programme, where those customers work in conjunction with the FastTrack programme on validating key scenarios on the builds scheduled to be deployed.